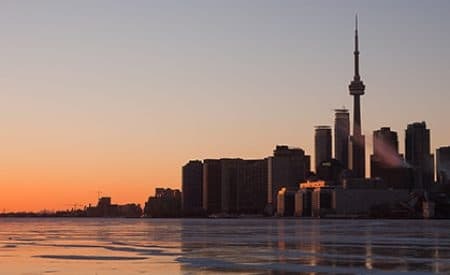 Broke in Toronto: Free Things to Do in T.O. It doesn’t matter if you’re 5 or 95, when you see a free food sample, you take it. 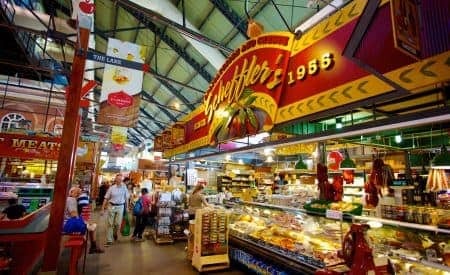 Luckily, you should see more than a few freebies when you walk through St. Lawrence Market. This indoor centre has been alive and kicking for over 200 years and has around 120 vendors selling everything you can imagine. Do some window shopping and score a few deals while you’re at it. Want to do something elegant but don’t exactly have stacks of money to go with a ballgown? Well, in Toronto, you can get plenty of culture without hurting your pocketbook. The Art Gallery of Ontario offers free admission every Wednesday from 6-9 p.m., where you can see a world of contemporary sculptures and medieval paintings. The Bata Shoe Museum, which is filled with shoes ranging from strange to historic, also offers a free night every Thursday from 5-8 p.m. See? There are some ballgown-worthy things to do in Toronto for free! Prefer art in an outdoorsy setting? Toronto is known for its street art, and it’s not uncommon for visitors to walk through the streets, posing in front of random alleys filled with ambitious designs. The most popular area runs from Portland Street to Spadina Avenue and is known as Graffiti Alley. Other hot spots surround Queen Street West and Kensington Market. The Harbourfront Centre, located, you guessed it, smackdab on the harbour, is a popular gathering spot for everyone in the city. And when you’re looking for free events in Toronto, check the centre’s calendar first. During the summer and fall, the Harbourfront puts on free movies (good ones like “Mean Girls”), while the opera puts on free performances. Some people love clarity, and some people like diving right into chaos. If you’re in the latter group, good! We’re talking to you. Check out the William Meany Hedge Maze on Toronto Island Park. Now considered one of the top free activities in Toronto, this is something of a resurrected dream for William Meany. As a boy, he loved the old maze on the island, and when he learned that it was in disrepair, he donated materials to get the labyrinth back up and running. Good luck in there. Being broke ain’t no joke most of the time, but in T.O., it’s not a problem. With a ton of free stuff to do in Toronto, you’ll be on your way to a good time with no cash required.